According to the Alzheimer’s Association, one in eight Americans over the age of 65 has Alzheimer’s Disease. This disease, as well as other types of dementia, can affect memory, communication, ability to pay attention, reasoning, judgment, and visual perception. These common symptoms can make day to day to life for you and your loved ones difficult. 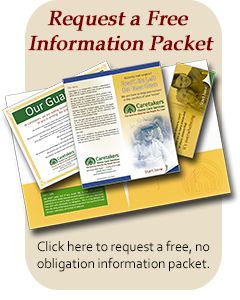 80% of care provided at home for Alzheimer’s patients is delivered by a family caregiver, which may cause emotional stress and depression in the caregiver and takes them out of their daily life. We want you to know that you don’t have to do it alone. We believe it’s important that you stay involved in the care of your loved one, but with our services, you can continue to live your own life as well. Whether it be our 24 Hour Alert Care where the caregiver on duty is always awake and watchful, or just a few hours a week of respite care, you can know that your loved one is being cared for with the utmost respect. All of our services are available to you and we encourage you to explore our options.